Our 100mm Box Gutter range is alike in form to our PVC Square Gutter range; however, it features all the merits of a cast iron system. The width is slightly larger than the depth of the profile. 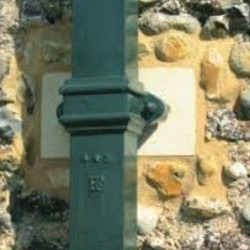 Box gutters are often seen in PVC format, but less frequently found in Cast Iron. 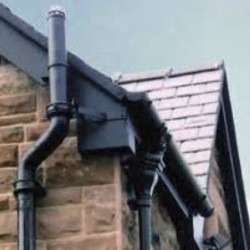 Used on barns, schools, churches, and other public buildings, Cast Iron box gutters are also used on domestic housing projects; they incorporate an element of interest and distinction to a renovation or new construction scheme. The 100mm Box Gutter system has an internal length of 105mm and an overall depth of 72mm. 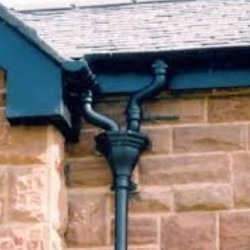 This gutter comes in 1.83m (1829mm) lengths, to match the old fashioned imperial 6ft lengths, for ease of replacement.